There are a variety of tasty substitutes for blackberry liqueur. 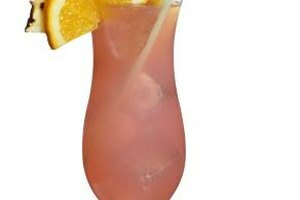 Velvety smooth, sweet and tangy blackberry liqueur is a cocktail mixer most known as an ingredient in the classic rum runner cocktail. It can also be used as a topping for ice cream or blended into cakes and other desserts. If you don’t have blackberry liqueur on hand, you can use a variety of substitutions, choosing from non-alcoholic and other spirits that have a similar flavor profile. Blackberry syrup that is used to flavor soda water or Italian ice can be used in place of blackberry liqueur. 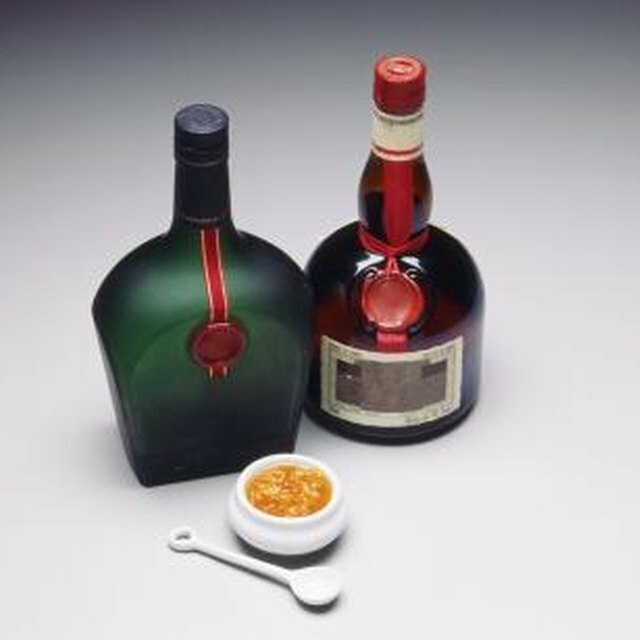 Use half the amount of syrup in place of the amount of liqueur the recipe calls for. Blackberry puree is another option but is best used for dessert recipes and blended drinks as its consistency is too thick for a simple drink like the blackberry martini. Make it by blending or muddling fresh or thawed frozen berries with a bit of fine sugar. Use the same amount of puree as you would liqueur. Creme de cassis is a liqueur made by distilling black currants. It has a similar flavor profile as blackberry liqueur -- tangy, with a sweet finish. Use the same amount of creme de cassis as a substitute for blackberry liqueur. Creme de framboise or raspberry liqueur will also work well as a replacement for blackberry liqueur. The flavor of raspberries is a bit brighter and tangier than blackberries and will change the flavor in the recipe slightly but can still work in both mixed drinks and desserts. How Long Does Watermelon Stay Fresh After Cut?